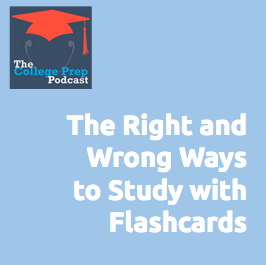 Are you sick of flashcards? Or do you recognize they’re an effective study strategy, but wish they could be more fun? In Gretchen’s academic life coaching practice, she notices that many students mindlessly use flashcards to memorize information. This makes studying take longer than it needs to, and it also results in less effective learning. If you’d like more practice with this creative technique, or want to learn 10+ additional techniques for taking the boredom out of studying, check out the Anti-Boring Approach to Powerful Studying.